Oh boy, another scam unmasked! ghostf1re, xxLCxx, PEnnn and 1 other person like this. Even the most naive person could see this was a scam. 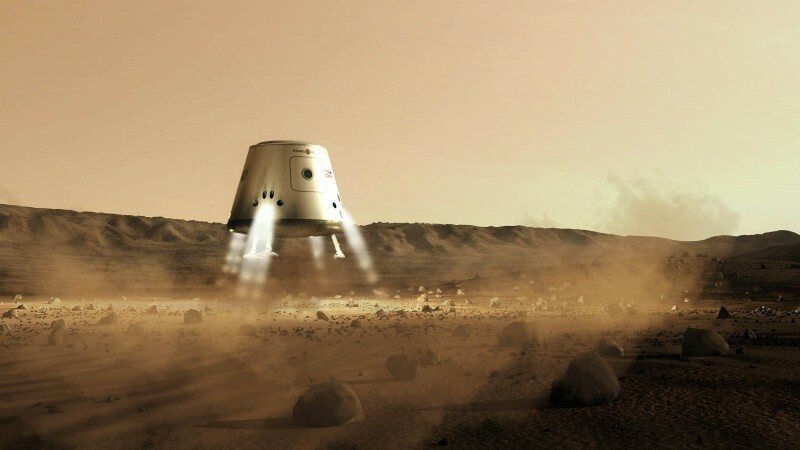 No "reality show" is going to fund what it would take to get a group of people to Mars and establish a colony. Leave it to the experts, m'kay? xxLCxx and PEnnn like this. Damn! I suppose I won't get my deposit back then. Even the "experts" are abject failures on this topic. You can't terraform Mars or Venus. They're simply too small to float an oxygen/nitrogen atmosphere and you can't increase a planet's mass or size to match the Earth's. And any larger, you get the opposite problem. The "experts" don't even know what charge is yet. Any nonsense about colonization is just marketing and propaganda. Dammit!! 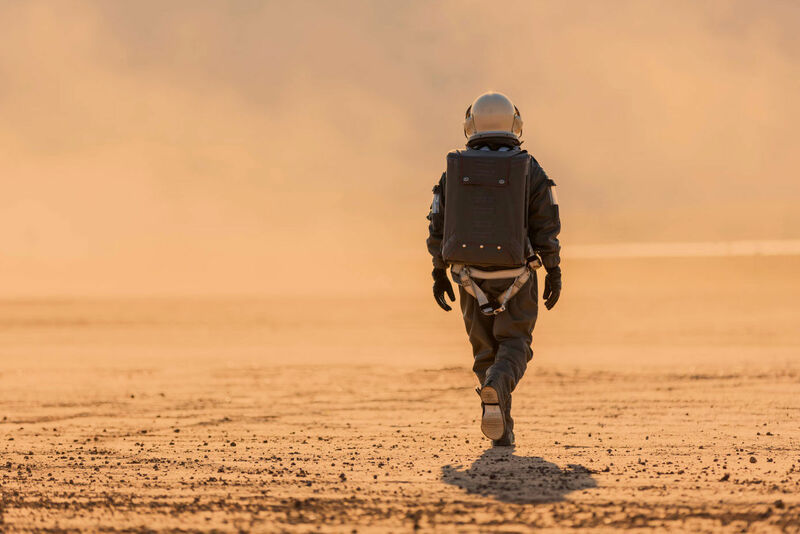 I was looking forward to watching those suckers discover there is no Walmart on Mars...and have to drink recycled urine and pre-digested Doritos!!! You can colonize a place without terraforming it, you just end up living inside all the time. Also, Venus has nearly the same amount of mass as earth (4.867 × 10^24 kg vs Earth's 5.972 × 10^24 kg), giving it about 0.9G of earth gravity - more than enough to retain an oxygen atmosphere. The problem with Venus is two-fold. Its close to the sun, and its atmosphere is basically gaseous acid at extremely high temperatures and pressures. You would need to shade it from the sun, and then find a way to capture all the CO2 and other acids in the air as some kind of solid. Mars we also know at one point had liquid water on its surface, so it is possible to have an atmosphere with the right kind of temperatures and pressures to allow that - which would allow a person to live on the surface with right clothing and maybe a face mask. The trick at this point becomes increasing the light on the surface, as well as probably a continuous maintenance of the atmosphere through some method like running ice-laden asteroids through it. The lack of magnetic field will always pose a problem though. "The right answer has to do with weight, not use. The clue from argon is the fact that its atomic weightis a bit more than twice that of nitrogen or oxygen. To persist in the atmosphere, gases have to have theright weight to do so. It is that simple. Carbon dioxide is too heavy to persist over long periods oftime, and it falls out. That is why we find more CO2 at lower levels. It is in the process of fallingslowly all the time. But argon persists because it is balanced in the unified field." "What would it require to make CO2 balance on Venus? A stronger charge field or a weaker gravity field. We know that Venus can't have a stronger charge field, both because it is smaller than the Earth and spinning more slowly, and because we have measured its electrical and magnetic fields. They aren't stronger, and the mainstream knows that. So we look to gravity. Since CO2 is too heavy for the Earth, we need to lower the gravity field to balance it. Well, that is just what Venus has. Its gravity is .9 thatof the Earth, which matches my math above. I showed that CO2 is 10% too heavy for the Earth, Venus has 10% less gravity, so Venus should have the perfect unified field to levitate CO2. As long as Venus has a method of producing CO2, we would expect its atmosphere to contain a lot of it. And, in fact, ithas 96.5% CO2. " Venus cannot float Oxygen and Nitrogen at its surface because it doesn't have enough charge to separate those from Carbon Dioxide. CO2 is 10% heavier than O2/N2/Argon, so what would happen if you COULD introduce enough Oxygen or Nitrogen is that they would float far above the CO2, and nowhere near a breathable surface quantity. CO2 persists at the surface here on Earth for about 5 years, but Oxygen persists for 4,500 years and Nitrogen for 24 million years. On Venus, the CO2 persists perpetually and traces of other, lighter gases float far above it. You have to look at the unified field, not just gravity. It's the chief reason why these "experts" aren't experts at all, but novices at best. They don't even know what charge is yet. "Mars has a gravity .376g. What gas has a weight 1/.376 that of Argon? That would be an inert gas with a molecular weight of 106.4. That is about the atomic weight of Palladium. Since there are no common gases that match that profile at Martian atmospheric temperatures, we have a simple explanation for Mars' tenuous atmosphere. Most of Mars' atmosphere is CO2, we are told, but on Mars it doesn't fall, it rises. We can see the plume behind Mars as its atmosphere is blown off into space. We are told the Solar Wind blows it off, but we now know that it would blow off even without the Solar Wind. CO2 and the other Martian gases are simply too light for the unified field of Mars. In other words, Mars is too small to have ever had a permanent atmosphere.That is, unless you can compose a gas at 106.4. " The temperatures and pressures have nothing to do with it. You cannot present a pressure which will trump gravity and charge at the same time - since charge is already an outward, emissive pressure from all bodies in the form of heat. Gravity down, charge up. We'll all await your rational argument or even a cursory rebuttal of the charge/gravity mechanics I just quoted. Since you don't know what charge is yourself, or anything about physics at all, we'll just hang out indefinitely for you to catch up. See you in three or four years, bro? Take care. Take over what? He doesn't know what charge is any better than you do, and he doesn't even know what I just shared about planetary atmospheres. Take your time, learn the topic, then go teach him some physics too. I got'cher back, buddy. I believe in you! Science is not a debate, nor is it some lunatic blowviating because they think that they have the answers no-one else has. You need to back up that bloviating with hard science - in other words, experimental evidence that was gathered in a laboratory and some hard mathematics that fits the gathered data. Then, others need to be able to repeat what you did in the laboratory, get the same results, and come to the same conclusions. That's the scientific method. If you think this explanation has merit, devise an experiment to prove it then perform that experiment. That's also the scientific method. If it's too expensive for you, then present it to a university and ask them to help fund it. Bloviating does not cut it in the scientific world. Talk is cheap - especially from someone such as Miles Mathis who has never been in a lab, has never published any peer-reviewed papers, and yet insists they are right and everyone else is wrong. Really, bro, I think you see reflections of yourself and what you don't understand. I think it is possible, but whether it is economical is another story. Take Mars for example, if the carbon on the surface is insufficient, then you'll need to go below the surface - process whole swaths of crust into gases to create a more earth like, if colder, atmosphere. But the scale of such a project would be immense, and whether its economic value could ever be recovered is very much an open question. Even then, it would always be a process to replace what is lost, but it would be at a rate we could likely technically keep up with, if we're able to get there in the first place. In the case of Venus, if lack of charge is an issue, then incorporate it directly into the atmosphere itself. You could potentially run long conducting 'threads' from above the magnetosphere into the ground. This would begin to induce a greater charge into Venus' atmosphere from both the sun's solar wind interacting with the cables, but from the cables rotating within the magnetic field itself. This would cause the gas in the atmosphere to expand and begin to be stripped by solar winds - hopefully at a faster rate than it is replaced by vulcanism on the surface - reducing all gases, and cooling the planet. the trick then becomes balancing the remaining gases into something that can support biology. Again, though, also a scale issue and a materials one too. Never mind that Mathis' whole argument here rests on the idea that atmospheric layers are monolithic, that they do not mix, and his argument is literally inorganic. By his logic, we should all be breathing CO2. Incorporating a biome onto the surface would do wonders to retain oxygen near the surface, since it would establish both a carbon and nitrogren cycle. With the carbon, it takes the CO and CO2 near the surface in, converts it to oxygen, which rises into the atmosphere, displacing more CO and CO2 down to the surface, while some of the oxygen is converted back into CO and CO2. Yeah, our high gravity helps retain the oxygen in the first place, but its not like it would hang around just because of that. Oxygen reacts with everything, so it must be continually replaced. You introduce a biome onto Mars, and that will go a long way to making it habitable. The real issue on Mars is the almost complete lack of nitrogen, in any form. You need that for both biology and just the physics of creating a breathable atmosphere (can't have too much CO/CO2, or you suffocate. Can't have too much O2, or everything burns first time someone creates any kind of spark. Need the nitrogen to stabilize everything chemically). You need to back up that bloviating with hard science - in other words, experimental evidence that was gathered in a laboratory and some hard mathematics that fits the gathered data. If Science isn't a debate, then you need to just accept the facts I've shown and stop your whining. I did back it up with hard science. Experimental evidence and data, gathered from the planets we're talking about themselves - not in a laboratory, because planets aren't labs. Every number and datum shown was taken from the mainstream, including the charge field calculations. Of course you didn't even read the paper, where Mathis shows the same math working for every planet, explaining the atmospheric compositions for Jupiter and Saturn and the rest. You looked up some farcical analysis of him as a person and completely ignored the theory. And then you claim to know what the scientific method is? Tell us, how are you going to reproduce a planetary atmosphere balanced by gravity and charge in your tiny little lab that you've also never been in? No, don't bother telling us. You already blew it here, son. You have not shown any "facts". You have created a logical construct based on scientific fallacy. What you say sounds good - to anyone who has no clue about science because it is a logical argument, however, basing it on scientific fallacy makes your entire argument nothing more than fallacy. You are appealing to Ignorance. Give me a link to any of your work that is substantiated by publication in a reputable mainstream journal, you know, something like Physical Review Letters. Better yet, show me the journal where Mathis' paper, on which you are basing your work, is published. If you do, I'll apologize to you. I am betting that you cannot because your posts often state that everyone has no clue about science which implies that you think you know more about science than anyone else. Give me a link to any of your work that is substantiated by publication in a reputable mainstream journal, you know, something like Physical Review Letters. Oh, so you missed the original post where I posted all the numbers, the math, and the analysis? So you missed the entire theory and also missed the paper I sourced? So you don't know what atoms are, nor molecules, nor gravity, nor charge, nor radius, nor density, nor mass? Do you know even what a planet is? Better ask an "authority" on the topic, since obviously you can't know anything yourself. I'm not appealing to ignorance in any way - you're the only one demonstrating that, in this thread. And then you drop yet another recycled, abused fallacy, with your Appeal to Authority bandwagoning. Adherence to a system that doesn't even know what charge is, cannot analyze atmospheres, and is nowhere near a "peer" on this topic and more than you are. You can't even read numbers, evidently - so you're just here talkin' smack because you dislike science and can't touch a theory yourself. Read the paper. Find any flaws. Get back to us when you've achieved scientific literacy and polemic esteem. I'm confused. Are you arguing that terraforming is possible, or that it is impossible? No one really knows. For now, the consensus is that it is not within humanity's technical grasp. IMO, most of what Jared posts is made up. Also, the link does not say a 100% CO2 atmosphere. Current proposals are that CO2 be reintroduced to the atmosphere from some source so that the atmospheric pressure on Mars is raised high enough to support conditions conducive to a habitable environment. This is not the same thing as saying that the atmosphere should be 100% CO2. Part of their conclusion is that there is not enough CO2 on Mars for it to be done solely with the CO2 that exists on Mars. Are you answering your own question? Never mind that Mathis' whole argument here rests on the idea that atmospheric layers are monolithic, that they do not mix, and his argument is literally inorganic. By his logic, we should all be breathing CO2. Incorporating a biome onto the surface would do wonders to retain oxygen near the surface, since it would establish both a carbon and nitrogren cycle. With the carbon, it takes the CO and CO2 near the surface in, converts it to oxygen, which rises into the atmosphere, displacing more CO and CO2 down to the surface, while some of the oxygen is converted back into CO and CO2. Unless atmospheric pressure is raised, establishing a biome will not be possible. The reason is covered in the link I posed - but basically, water turns to vapor (boils) in such low pressures. Maybe so, but without sufficient atmospheric pressure, to establish a biome, the lack of nitrogen is a problem that would be addressed later if a terraforming effort were to take place. Adherence to a system that doesn't even know what charge is, cannot analyze atmospheres, and is nowhere near a "peer" on this topic and more than you are. Right, Miles! You are a genius beyond , the authority beyond authority. No one else but you knows what they are doing. I bet you even created the universe. Miles already wrote about all those topics, in the short, simple paper you folks were unable to read. He even wrote an entire separate paper addressing CO2 directly, and linked it at the end of the first paper. I provide these links for actual thinking people who actually want to learn physics. I don't care if you guys don't read that one, either. You have no answers to these problems, only whining and complaining while misunderstanding physics as well as literacy. It's no surprise that you're unable to tell us what charge is, Wiyosaya, since you only read outdated, falsified mainstream physics intended for grade-school children. Miles also addressed Mars' atmosphere AND magnetic field in that paper and another one implicitly about Mars' magnetism, as well as another paper about Venus's magnetism. Where is the Magnetism of Mars? You don't even know what magnetism is in the first place. You refuse to know, since you refuse to learn what charge is or any of these other topics. Not my problem; most people are unable to learn anything at all. Thay just too basic. I provide these links for actual thinking people who actually want to learn physics. There you go again. I am sensing a pattern. No one knows physics but Miles and now you. It is no wonder Mathis has to invent his own science. Appeal to Authority bandwagoning. Adherence to a system that doesn't even know what charge is, cannot analyze atmospheres, and is nowhere near a "peer" on this topic and more than you are. You can't even read numbers, evidently - so you're just here talkin' smack because you dislike science and can't touch a theory yourself. No one in the peer review process needs to agree with you. The peer review process checks the validity of the work and not necessarily the validity of the idea. It is far from an appeal to authority. You guys are way too long winded for me on this topic. I will simply say I could see this coming. IMO, you are not really missing much by not reading. It is not up to anyone to prove Jared wrong. It is up to @JaredTheDragon to prove that what he is stating is correct. Unless Jared is Miles Mathis, what he is stating is nothing more than what Miles Mathis stated, too.